This translucent, silky serum helps control oil that may result in pimples. • Powerful formula glides on smoothly. • When used as part of the Clear Proof® System for Acne-Prone Skin, it may help minimize the appearance of pores and help control shine. 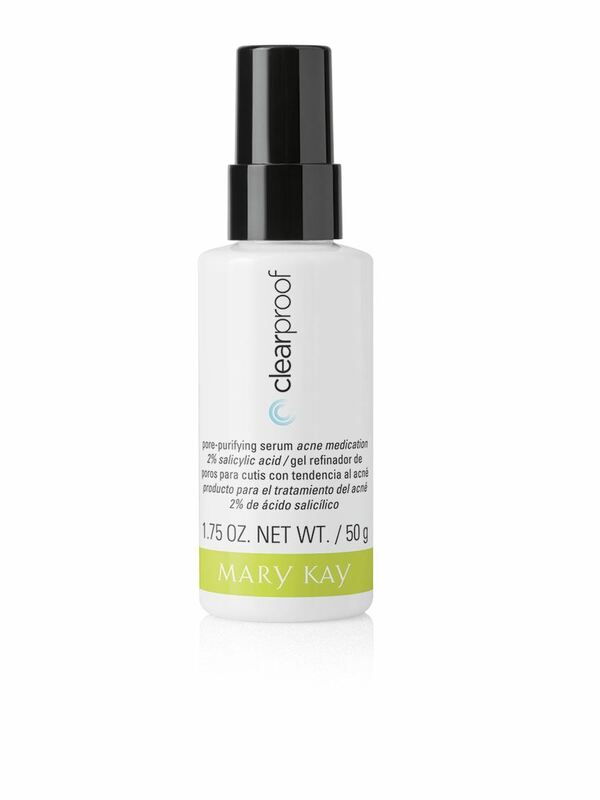 This serum is part of Clear Proof®, a comprehensive skin care regimen dedicated to fighting acne. Several products in the system feature salicylic acid, an important ingredient in the fight against acne. This clear, lightweight cleanser quickly converts to a soft foam that helps remove excess oil and rinses clean with no residue. This formula contains two percent salicylic acid to keep surface dead skin from collecting in pores. This botanically enriched formula leaves skin feeling clean, refreshed and ready for the next step. Use up to 20 minutes at a time for two or three times a week. Wear as a full mask, or apply only to your T-zone. It contains activated charcoal and mineral clays to absorb pore-clogging impurities and excess oil, taking skin beyond everyday clean. As a result, your complexion looks clearer and healthier, and pores appear minimized. This translucent, silky serum helps control oil that may result in pimples. The powerful formula glides on smoothly and absorbs quickly. When used as part of the Clear Proof® System for Acne-Prone Skin, it may help minimize the appearance of pores and help control shine. This formula contains two percent salicylic acid to target blemishes and help reduce future breakouts by gently exfoliating the skin. This highly effective cream absorbs quickly and leaves no residue. Step 5: If needed, follow with Clear Proof® Oil-Free Moisturizer for Acne-Prone Skin or another Mary Kay® moisturizer suitable for your skin. The cleanser, purifying serum and spot solution contain two percent salicylic acid to keep dead skin cells from collecting in pores as it helps clears up blemishes. They also contain the botanicals Canadian willowherb, sea heather and burdock root that have been shown to impact factors* that may help reduce redness associated with blemishes. Acne is caused by a series of events. Pores become blocked, trapping oil inside. As the skin continues to produce oil, the blockage grows, resulting in acne blemishes. In order to keep skin clear and acne-free, this cycle must be interrupted. The Clear Proof® System for Acne-Prone Skin includes cleanser, pore-purifying serum and spot solution, each formulated with two percent salicylic acid, that work together to help clear up existing blemishes and prevent future breakouts. All three products contain the botanicals Canadian willowherb, sea heather and burdock root that have been shown to impact factors* that may help reduce redness associated with blemishes. Plus, you can add two skin-loving Clear Proof® products to round out your regimen.